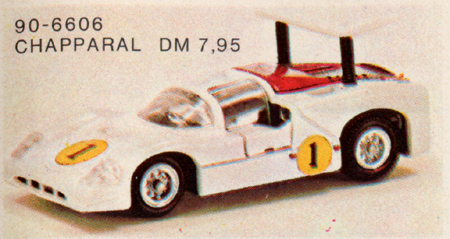 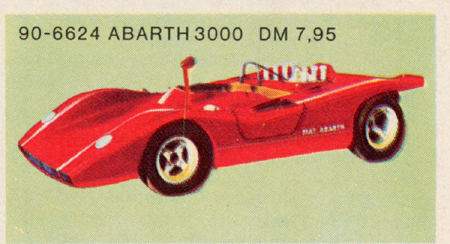 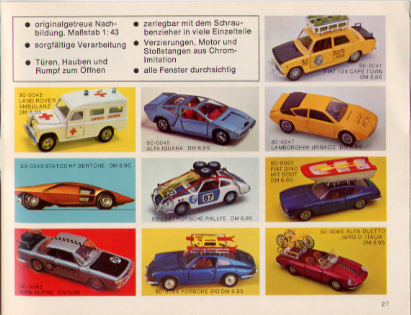 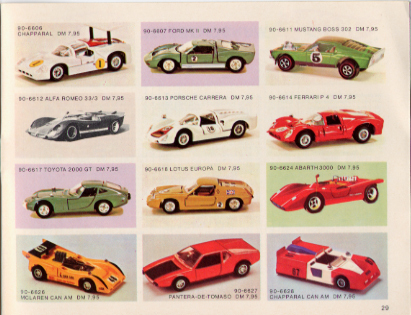 This page shows the 1972 / 1973 Mattel German Heisse Räder Catalog. 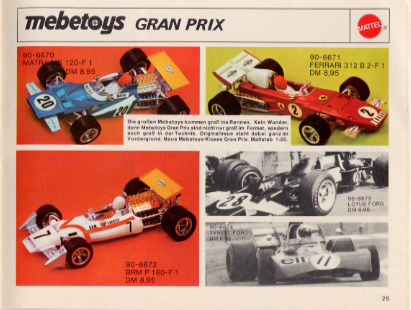 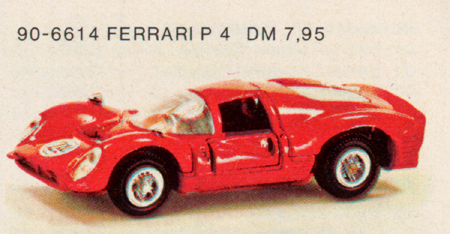 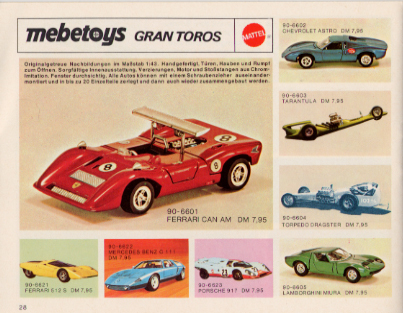 Due to the size of the catalog, this page only shows the Hot Wheels (Redlines) Gran Toros / Sputafuoco / Heisse Räder Supergross, and Mebetoys pages. 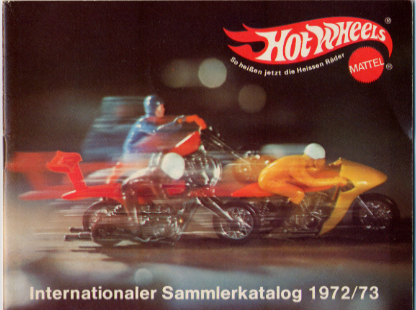 The front cover of the 1972 / 1973 German Heisse Räder Catalog. 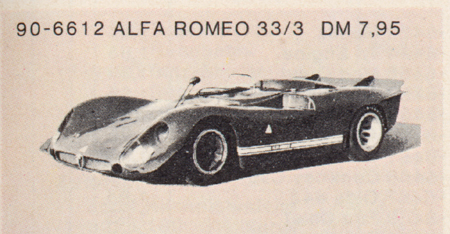 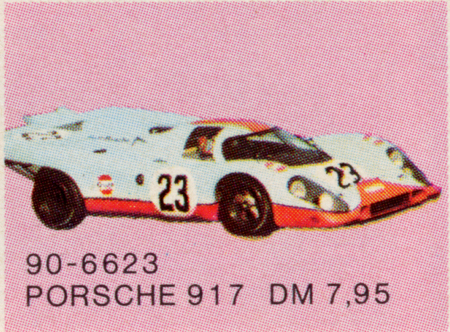 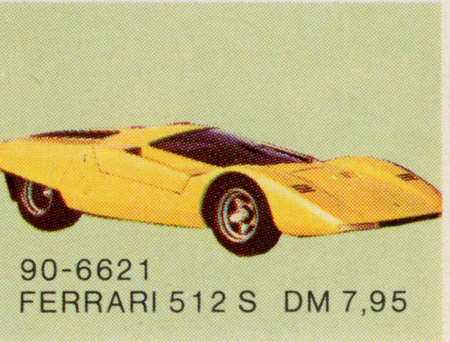 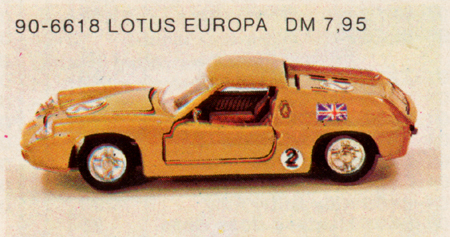 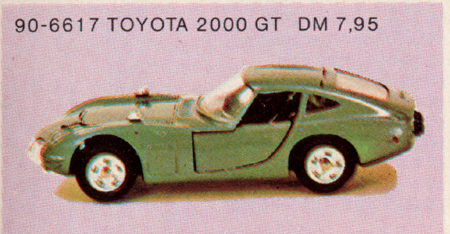 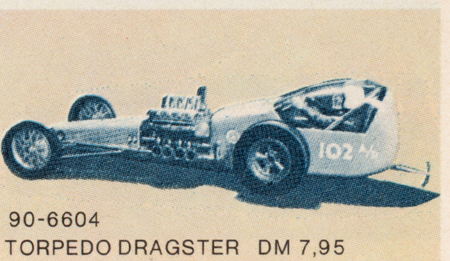 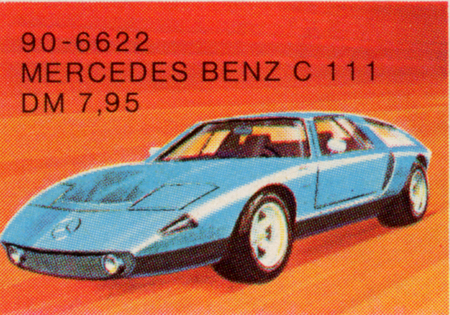 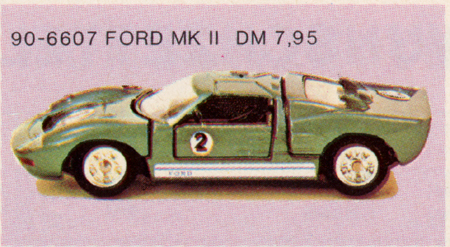 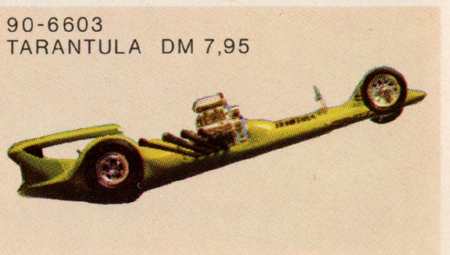 The back cover of the 1972 / 1973 German Heisse Räder Catalog. 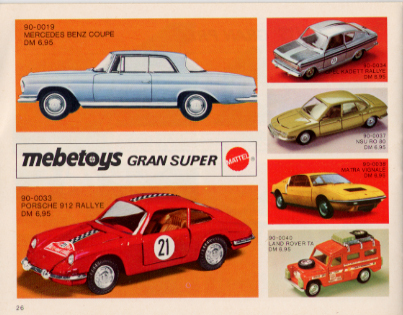 A second page of Gran Super models. 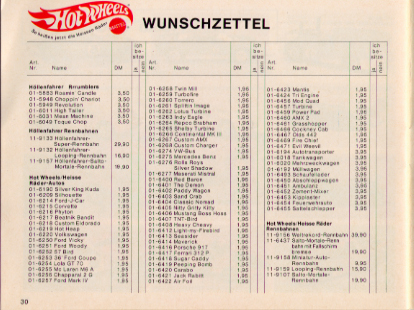 The first page of the inventory list. 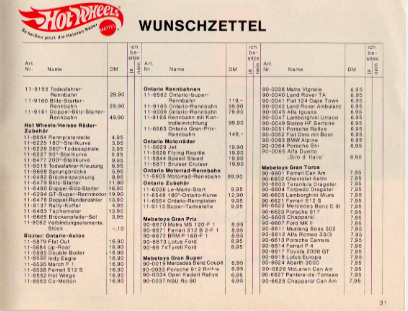 The second page of the inventory list. 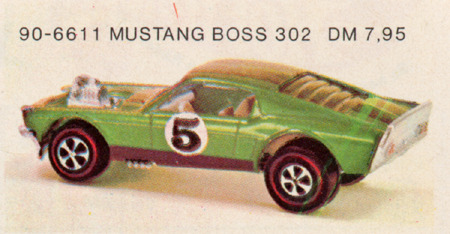 The Mustang Boss 302 picture is of a Hot Wheels Redlline Boss Hoss.